Have you ever had a dream of the perfect summer holiday in Santorini? Welcome to Azar Villas & Suites, the new stylish accommodation with exclusively customized services. 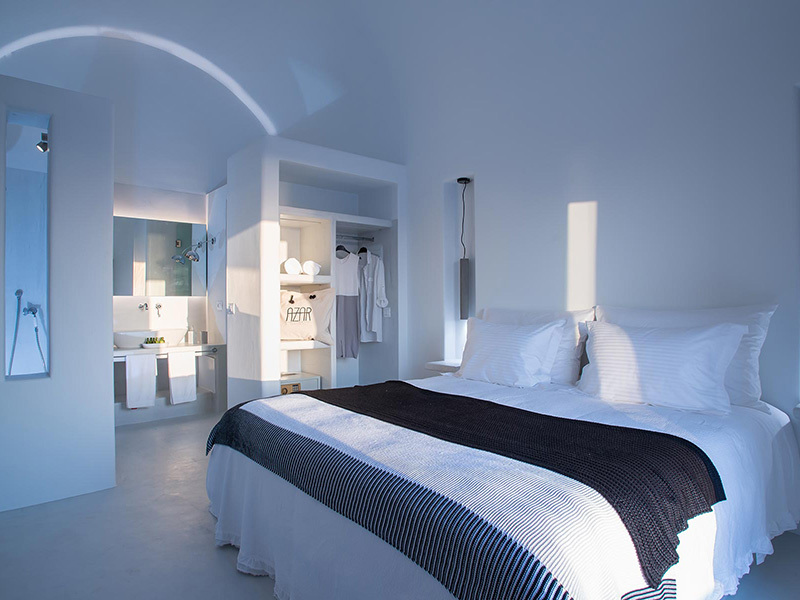 Azar Villas & Suites Santorini is a complex of four private villas and suites located in a secluded spot on the east side of Santorini, overlooking the beach of Pori. Inspired by the surrounding wilderness, the villas have a sophisticated style which creates a bohemian yet opulent atmosphere. 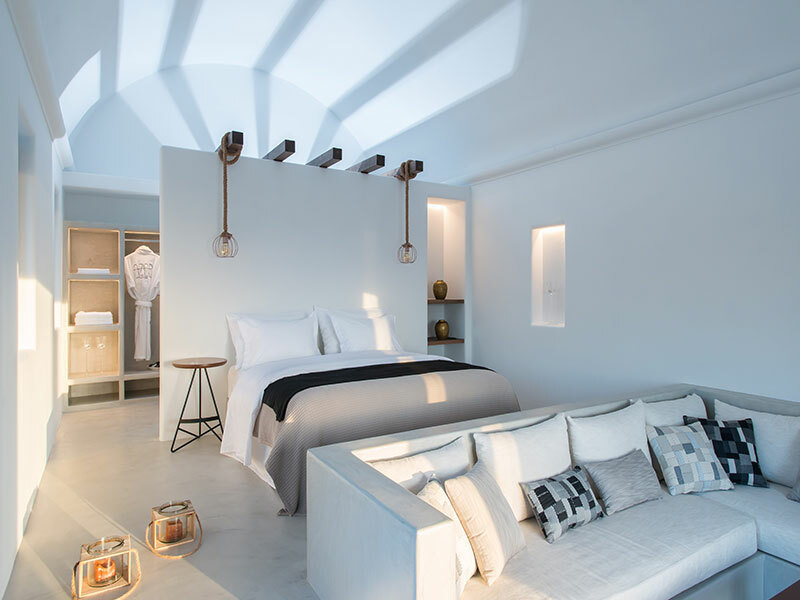 The unobstructed views of the eternal blue of the Aegean, the exquisite sunrise, the delightful cuisine, created according to your particular wishes and the tailor-made services, are just a few of the things that will make your stay in Azar Villas & Suites Santorini memorable, enjoyable, relaxed. 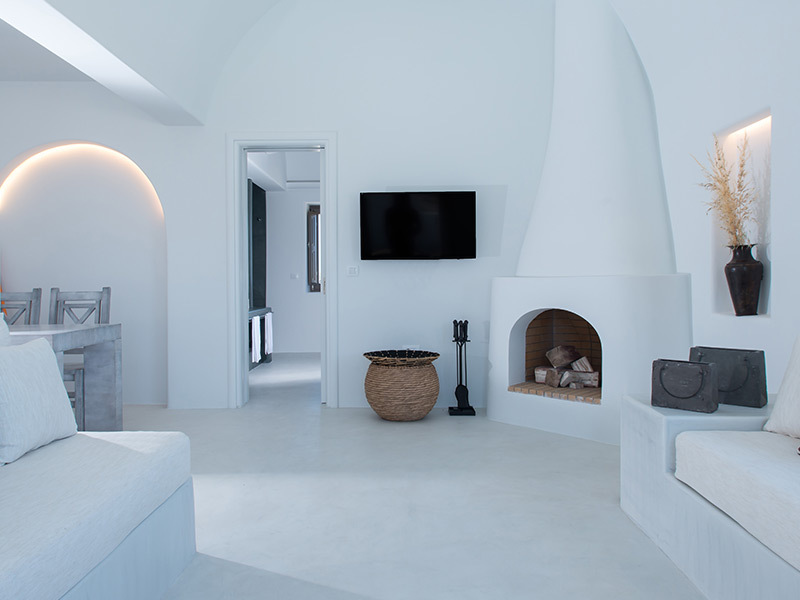 We will make sure that anything you need or desire – or had never even thought of – will be taken care of during your stay with us; after all, this is what will make your stay in Azar Villas & Suites Santorini unforgettable. We will make you feel special, either relaxing in the infinity pool of your villa or seeking the thrills of the island of Santorini. The only thing that you have to do is pick the villa or the suite which will host your dream of the perfect holidays in Santorini! 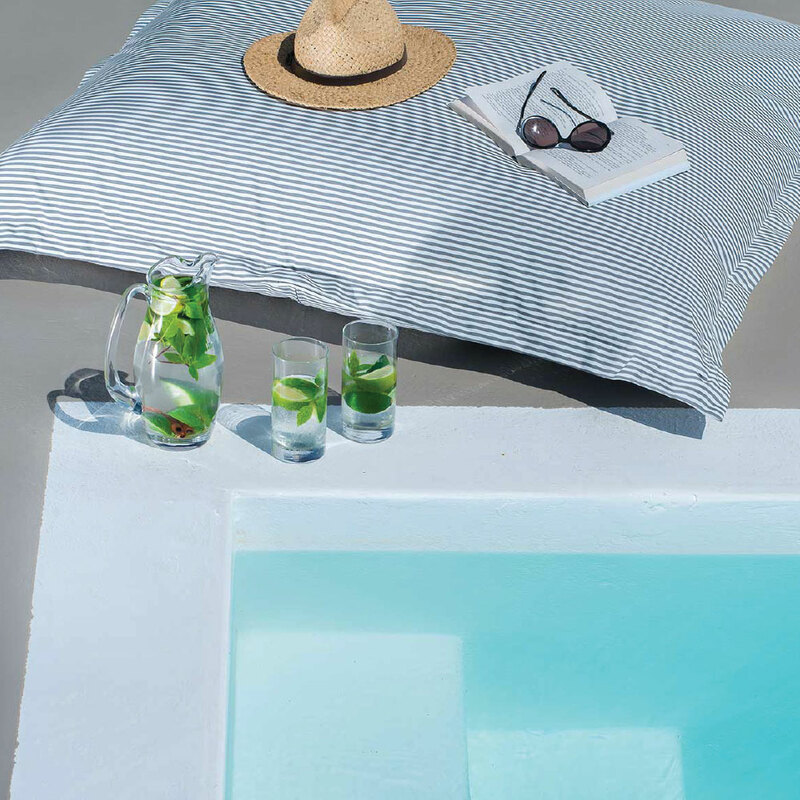 All Azar Villas & Suites in Santorini feature one bedroom and one bathroom, whereas, on the spacious verandas with infinity pools, you will daydream nonchalantly sipping your cocktail. 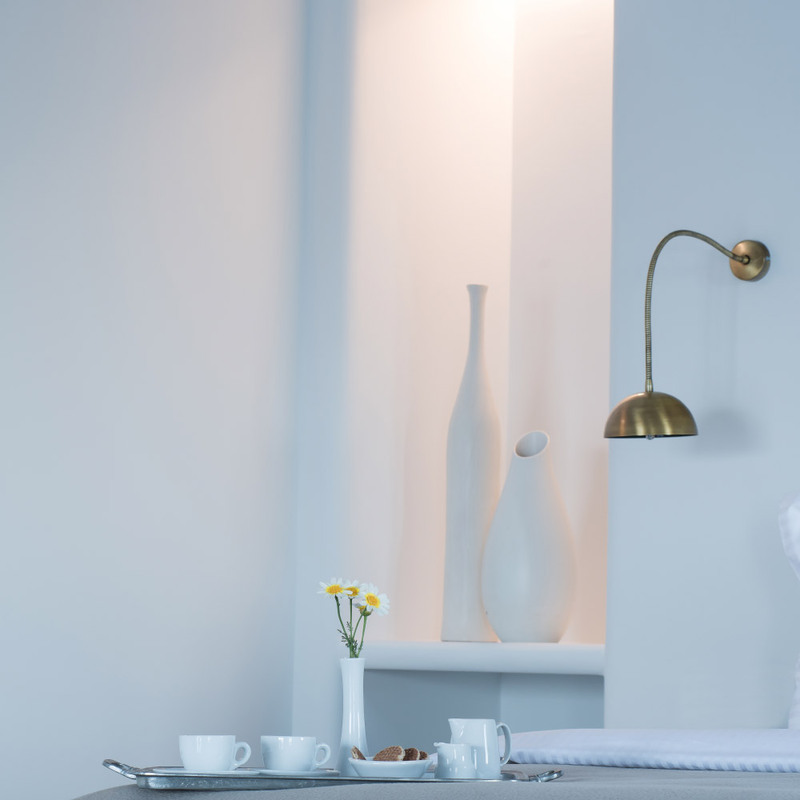 Anna, the owner, knows exactly how to make you feel right at home; from the homemade breakfast- prepared with local, organic ingredients - which she will serve you every morning - to her bespoken meals, to any service you may require during your stay. 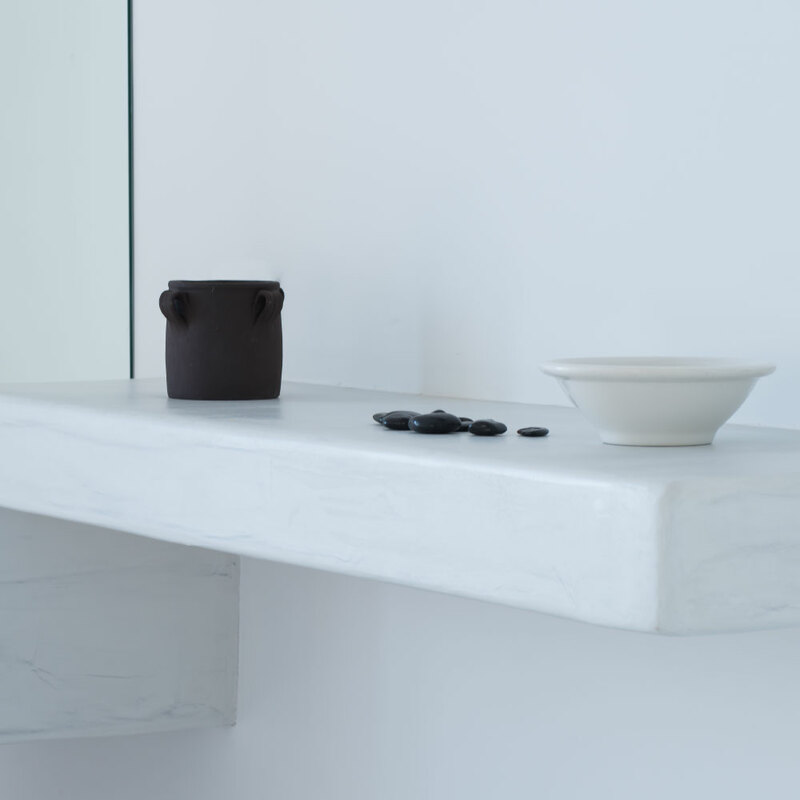 An experienced chef who has worked in gourmet restaurants in Mykonos, Athens, Santorini and elsewhere, Anna adds her personal touch to your stay with her mouth-watering dishes. 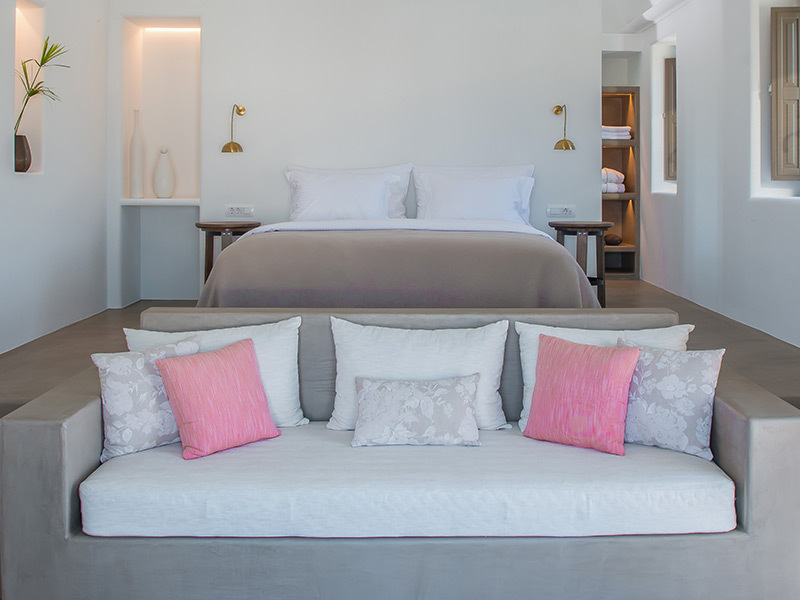 The imaginative flavors of the menus, the luxurious accommodation, the tailor made services, all create the indulging sensation of the Azar Villas & Suites Santorini. Anna will make your stay even more unforgettable and you will leave knowing that you now have a friend in Santorini.